1980. High school now behind me, it was on to college. Though I had played the trumpet the previous seven years, as I wrote in Vinyl Memories #6, the instrument was behind me. But the music, not completely. Maynard Ferguson albums joined me on the journey to Eastern Michigan University. The popular trumpet players of the time were Herb Alpert, Doc Severson, and Chuck Mangione. I have no recollection on how I was introduced to Maynard Ferguson, but I preferred him and his band over the others. I think it might have begun with the album M.F. Horn, because it featured “Eli’s Coming” and “MacArthur Park,” two numbers I had played at some point in band. Hints of India’s influence slipped into his arrangements, and in some cases were more pronounced, such as “Chala Nata” (M.F. Horn) composed by Vemu Mukunda who played the veena on the piece. The albums which followed tended to have arrangements of more popular tunes, such as “Bridge Over Troubled Waters” (Maynard Ferguson), the theme from “Shaft” (M.F. Horn Two), “Spinning Wheel” (M.F. Horn Two), and “Gonna Fly Now,” the theme from “Rocky (Conquistador). Here’s a sample of an appearance on the Mike Douglas Show. Maynard Ferguson was born in Verdun, Quebec, and attended high school in Montreal. A member of Boyd Rayburn’s band in the late 1940’s, he moved on to Stan Kenton’s band from 1950-52 before becoming the leader of the Birdland Dream Band at the popular New York City jazz club for ten years. He moved on to play in Las Vegas and Hollywood before spending a couple years in the valley of Rishi in South India. In October, 1967, he formed his own band in Manchester, England. In the fall of 1980, I moved into my dorm room on the campus of Eastern Michigan University. My room and suite mates were a random draw, as I knew no one else who was attending the school. Obviously, there was some concern on how receptive these guys would be to Maynard Ferguson on the stereo. My roommate was a kid from Akron, Ohio who wasn’t even attending EMU. He was enrolled at Washtenaw Community College to bring his grades up so he could then make it into EMU and play on the football team. To the turntable he brought a group called The Michael Stanley Band, which did about as much for me as Maynard Ferguson did for him. My suitemates, however, were much cooler. Students from near the top of the class of Romulus High School. They played Dungeons & Dragons, using miniatures, (something that the guys I played the controversial role playing game with in Plymouth didn’t use, which maybe we should have to avoid controversies such as a giant’s ability to throw a boulder around corners). They read comic books. But they weren’t “nerds” from where they came from. Rob had played football at Romulus High, and Dan was smooth and charismatic, especially with the ladies. By the second term, Rob had left campus for the army, and I moved in with Dan. 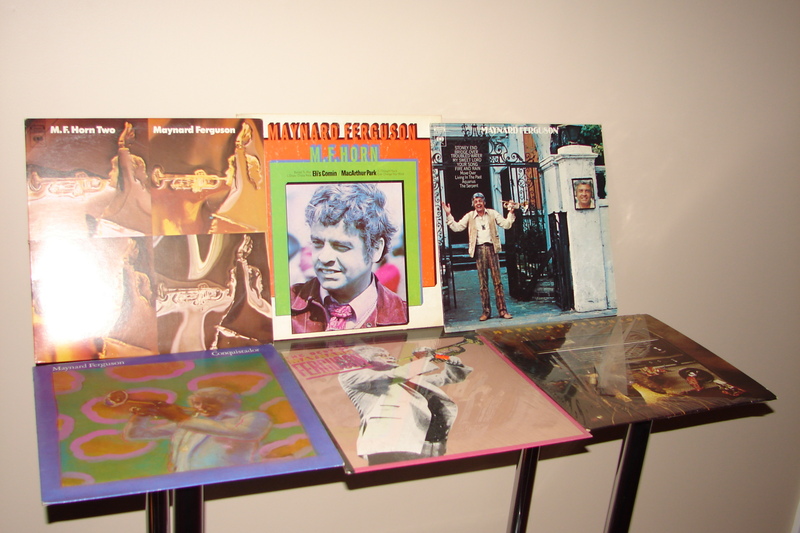 Yes, my Maynard Ferguson albums were mocked, however I remember returning to the dorm after a weekend visit home, to freshly painted walls which included his favorite band’s logo and “Maynard Ferguson,” prominently displayed. Maynard Ferguson made the twenty mile trip with me from Plymouth to Ypsilanti as a tie to the past, a little bit of familiarity in my new environment. And as it is with a new journey, discoveries are made. Some were left behind (like The Michael Stanley Band), but others become a part of the soundtrack of my life.